Abusive lawsuits and legal maneuvers threaten our communities and our members by silencing them under the weight of excessive litigation and costly attorney’s fees. If a member of your community criticizes a company, and that company doesn’t like it, they can sue you or your member. Even if you are completely in the right, your finances can be drained as you work to defend yourself. For this reason, many community professionals simply opt to fold to demands and remove the content, even if it would otherwise be acceptable. 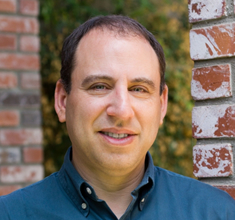 Eric Goldman is a professor of law at Santa Clara University School of Law. Before he became a full-time academic, he practiced internet law for 8 years in the Silicon Valley. His research and teaching focuses on internet law, intellectual property and advertising law, and he blogs on those topics at the Technology & Marketing Law Blog. 00:24 Patrick O’Keefe: Hello, and thank you for joining me on this episode of Community Signal. Our guest this week is Eric Goldman. Eric is a professor of law at Santa Clara University School of Law. Before he became a full-time academic, he practiced internet law for eight years in the Silicon Valley. His research and teaching focuses on internet law, intellectual property, and advertising law, and he blogs on those topics at the technology and marketing law blog at blog.ericgoldman.org. Eric, welcome to the program. 00:50 Eric Goldman: Thank you. Glad to be here. 00:51 Patrick O’Keefe: Well, it’s so great to have you because I really love your blog and I really love just how you share your opinions, definitely one of the top, if not the top legal person I look to for advice on areas of law that impact community professionals. So I’m really excited that you agreed to share your expertise with us here today. 01:07 Eric Goldman: Well, thank you for reading that. I always appreciate it. The blog is written for people who are interested in user-generated content issues of all types. So, glad when it hits the mark. 01:18 Patrick O’Keefe: Yeah, it’s a great read. So, a lot of people who work in community work with consumer reviews, even if we don’t specifically manage a review site, or even have a review section, reviews make their way into our communities. If your community is about a particular city or town, someone might share their experience during a recent hotel stay in that city. If your community is about scuba diving, a member might review a particular dive instructor. If you’re on a martial arts community like I do, people will review particular systems, instructors, and schools. And companies concerned about the prospect of a negative online review, often, they have taken to introducing some sort of anti-review clause into their contracts with customers or clients. And these clauses forbid the customer from posting a negative review online. Customers cannot share their experiences, especially if they are bad. And the Consumer Review Freedom Act of 2015 was introduced to curb this sort of contract overreach, and it passed the Senate in December and has yet to be voted on in the House. Eric, you testified before the Senate commerce committee about this act as they were considering it. If this act doesn’t pass, what do you think that means for community managers and operators? 02:28 Eric Goldman: I think that the use of these anti-review clauses in contracts is really powerfully insidious, and it shows up in a couple of ways. First, to the extent that consumers actually recognize that they’ve agreed not to review a business, they’re just deterred from doing so, they wouldn’t even try. So, there’s a lot of content that we’d never even see because the consumers are afraid to share. But the contracts can also be used as weapons in litigation, and in particular, they can be used to go after both the reviewers and possibly the review website for publishing or continuing to publish those reviews. And as a result, review websites and all user-generated content websites both will lose content that they never got and then will have content depleted from them as they or their users decide to pull down content in response to legal threats by businesses using these clauses. So, the contract clauses are an attack on the entire community system. They’re a threat to, I think, all of us, and that’s why I think these laws are so important. 03:34 Patrick O’Keefe: Now, the act specifically mentions form contracts. And I read your analysis of this, and you seem to feel like it creates a bit of a loophole. Can you just rewrite a portion of a form contract and have it not actually qualify as a form contract? Do you see that being easily abused by companies? 03:51 Eric Goldman: I don’t think we’re ever really gonna see that tested. I think that in practice, if Congress can pass the law, businesses are gonna get the message and they’re just gonna stop trying this approach, they’ll deal with reviews in other ways, but not with these anti-review clauses. So, I think the distinction between form contracts and one-off contracts won’t be tested in court. But as you point out, it does create a loophole, and it does create the possibility that instead of us clicking through some form agreement, we might be presented with some “custom negotiated agreement” that’s the same that’s present to everyone else, as a way around it. I don’t think businesses are likely to do that, but I wish that the loophole didn’t even exist. 04:32 Patrick O’Keefe: I’ve heard of stories in the mainstream media of companies using these sorts of clauses. I’ve seen them trend on Facebook, I’m pretty sure, and I think it was tied to a hotel or a wedding vendor, or something like that, so I’ve definitely heard mainstream media stories of the company and the reviewer going at it. Have you seen these sorts of clauses reach platforms that host reviews or communities as of yet? Have companies actually gone to platforms with a contract in hand and said, “Well, look this reviewer said they wouldn’t say anything and now they did, so take it down”? 05:04 Eric Goldman: As I said, typically, when it gets to threats by a business, those threats are levied against the consumer who’s supposed to review. The threat of lawsuit is enough to get that review driven off the website. And often, the business doesn’t have to go and put the threats against the review website because they can get their remedy without doing so. But we saw an entire industry attack review websites back in the last decade. This was in the doctor review community, where instead of having an outright ban on consumer reviews, doctors were asking for the intellectual property rights to the unwritten consumer reviews, and then they were threatening the review websites with intellectual property claims for continuing to publish the reviews. So, in that case, we saw doctors going up to review websites and demanding that they remove the reviews upon peril of being sued for intellectual property claims. We don’t see that too often, but we still see that every now and then. So, I don’t think review websites can feel like they are out of the loop legally based on these practices and that’s why the Consumer Review Freedom Act is written to cover that intellectual property attack as well as the outright bans. 06:20 Patrick O’Keefe: So with the doctor example, it sounds like they’re taking the rights of the unwritten review, they own the written word of the customer. Were they then using the DMCA to get those reviews taken down? 06:30 Eric Goldman: That’s exactly what they were trying to do. So, instead of going in the front door, where they would say, “That review defames me,” or “That review has factual errors that create liability,” and those claims will be preempted by Section 230, and all the doctors knew that. But Section 230 doesn’t cover intellectual property claims. And in particular, copyright claims are covered by the DMCA, where a copyright owner can send a notice demanding the takedown of their copyrighted works, or the website takes liability for that work. So, the doctors who are setting it up, that by owning the copyrights to the reviews, they were able to send copyright take down notices, and if those notices weren’t honored, that review website would take the liability equal with the user. 07:14 Eric Goldman: Now, as a practical matter, when I did the research on this, I found that most review websites were actually ignoring those takedowns. So, the doctors were sending them but the review website said, “You know what? Bring it. If you want to sue me for copyright infringement based on this completely bogus takedown notice, we’ll take that case to court. We think it’s worth standing up to it.” But in many other communities, we would see review websites instantly fold when presented by those take down notices. 07:42 Patrick O’Keefe: And you have thought about online reviews for a long time Eric, because you were general counsel at Epinions.com. What sort of things, crazy things, weird things, did companies try with Epinions to get you to take down unfavorable reviews? 07:55 Eric Goldman: I was general counsel from 2000 to 2002. So, now about 15 years ago. And the internet looked really different back then, and review websites were not nearly as robust, and weren’t as widely consulted as they were today. In fact, back then, we didn’t get the same kind of gamesmanship that we would see nowadays. But I’ll tell you about one incident that I had that still sticks with me today. It involved a moving company business, and that particular industry is just rife with low-quality performers, and businesses that go out of business quickly and start up under a new name, and it’s just a rough business. And it may have been that the reviews that were posted against a particular moving company were fake. I don’t think they were, but I don’t know. But the business was so unhappy that we wouldn’t scrub those reviews, that the business owner came after me personally and started attacking me in other fora, writing about me, and talking about how I was a bad person, and basically saying a lot of things that were untrue about me as a lever to try and get me to buckle under to his demands. It didn’t really faze me that much, and I wasn’t susceptible to that kind of attack. But I found it was interesting, that instead of arguing on the merits, they took it as an ad hominem attack against the decision-maker because they had no other tools. 09:19 Patrick O’Keefe: I would like to take a moment to recognize our excellent sponsor, Higher Logic. 09:55 Patrick O’Keefe: So, if people want the Consumer Review Freedom Act to pass, as, you know, someone who manages communities or as a private citizen, what should they do? Should they contact their House representatives and encourage their community members to do the same? 10:07 Eric Goldman: Certainly, more discussion about the law and more viral communications about the law would help the legislators to realize that this is a big issue, that this is not just the special interests of a couple of people who spoke out in favor of law. This is really gonna touch lots of people across the board. So, I think the number one thing is talk about it. Let your community members know about the availability of this law, get the discourse going. There are some groups that are supporting the law. I’m on the board of directors for a group called the Public Participation Project, and anyone who wanted to work with the Public Participation Project, or become an official sponsor of the law through the Public Participation Project to sign a letter or otherwise state their support for the bills would be great, and I’d be happy to work with anyone. Please contact me, and I’ll make the right referrals. 11:38 Patrick O’Keefe: Right, because it passed through the Senate in December. Here we are in June, hasn’t yet been considered by the House. So, I guess we’re sort of waiting. 11:46 Eric Goldman: Yeah. Can I clarify that? It did get attention under a different name, the Consumer Review Fairness Act, a subcommittee at the House commerce committee. And I’m hoping that means that it’s gonna advance to the House commerce committee in full, and then I’m hoping the House commerce committee will advance it on to the full House. So, I haven’t given up on the hope of getting it through the House, the problem is that when Congress says, “session ends,” all the bills die and we gotta start from scratch. And so, it’s a little bit of a timing problem more than anything else. There has been a little bit of movement in the House, I think that’s great. And as I said, all we need is for the people who set the agenda at the House commerce committee to add it to the discussion list for approval, and I’m confident it’s gonna pass, and that we need the people who put the agenda together for the full House to add it to that list. And so, everything we can do to let our committees know, “This is a really good idea, low-hanging fruit,” increases the odds of getting to add it to the agenda. 12:42 Patrick O’Keefe: Have you heard of any support or been joined in support by any big companies that host reviews? For example, Amazon customer reviews. These sorts of relationships where vendors are contractually obligating customers not to review may not really touch Amazon because they have obviously a different relationship, they sell a product, they get a review, there’s no contract there. But there’s all these sites that host reviews, are any of these big UGC content sites joining in the efforts to support this act? 13:07 Eric Goldman: Yes, definitely. And I apologize, I don’t have a comprehensive list of all the supporters, but when I testified at the Senate commerce committee, sitting right next to me was a representative from TripAdvisor, who spoke out strongly in favor of the law and explained it for all the right reasons. And I think the major review websites get the point that this law is a benefit to them because it makes sure that they see the content that their users want. 13:32 Patrick O’Keefe: And the thing about… And we touched on this, but the thing about this act, while it is primarily about vendor and customer, what we have to remember is that it is not at all unheard of for the platforms of a negative review or comment to be dragged into these matters, one way or another. And even if Section 230 will protect them, and they are 100% in the right, it doesn’t mean that you won’t incur substantial legal fees as you defend yourself, or attempt to have the suit dismissed. And this relates directly to anti-SLAPP laws, which are another effort that you are focused on. And that’s SLAPP with two Ps on the end, it stands for Strategic Lawsuit Against Public Participation. In other words, it’s a lawsuit that aims to chill speech and silence critics by forcing them to either pay burdensome legal costs to defend themselves, or remove, or retract their criticism. Twenty-nine states have enacted anti-SLAPP laws, according to the Public Participation Project, which again, you sit on the board of. My home state of North Carolina is not one of them. North Carolina is just on fire lately, I don’t know if you’ve heard about us on the news, but we’re doing all sorts of great things. 14:27 Patrick O’Keefe: I say that with extreme sarcasm. And we have seen cases where a platform or a community operator is sued for a negative comment that was posted by a user or a member of that community, and then the legal fees are so substantial that it can put the community operator into financial distress, force them to ask for donations, or simply close the community altogether. So, my question for you is, will anti-SLAPP laws help prevent that from happening, will it help protect community owners and operators from facing that burden? 14:55 Eric Goldman: Anti-SLAPP laws are a crucial part of the puzzle that helps review websites and other community sites run their businesses. But it’s only a part. We think about the full foundation, including things like Section 230, that says that user-generated content websites aren’t liable for third-party content, except in a couple of limited cases. Or we think about the First Amendment that says that there’s a bunch of restrictions on when we, as publishers, can be liable for content. But then, statutorily, anti-SLAPP laws do two really beneficial things. First of all, they create a fast lane for abusive lawsuits. They say, “We’re gonna take a certain subset of lawsuits and we’re gonna move them through the courts as quickly as possible because we want them out of the courts, because they are abusive.” And then the second thing that anti-SLAPP laws do is that they shift the fee, so they move the attorney’s fees from the defendant to the plaintiff. Basically, the plaintiff has to write a cheque to the defendant for bringing the lawsuit. 15:52 Eric Goldman: So, the combination of the fast lane, plus the attorney’s fees means that review websites, user-generated content websites, can feel confident that they’ll get the benefits of Section 230 or the First Amendment without having to spend lots of money in order to defend their substantive rights. It also acts as a good deterrent towards a lawsuit, so we don’t see as many abusive lawsuits because when the plaintiffs are thinking, “Should I bring this lawsuit against a review website or a user-generated content site?” They’re thinking, “I’m probably gonna lose because of Section 230 or the First Amendment. And if I lose, I’m gonna be writing a cheque to the defendant for having initiated this lawsuit.” And so, it makes plaintiffs think twice, “Is this really a lawsuit I wanna bring?” I will add one extra benefit is that it also emboldens their users to stand behind their reviews more. So, when we don’t have an anti-SLAPP law, as I mentioned before, that users just delete their reviews the moment that they face a legal threat. 16:52 Eric Goldman: But with anti-SLAPP laws, the users are a little bit willing to stand their ground. They say, “I know this lawsuit’s gonna end early ’cause it’s an abusive lawsuit that it’s gonna go into the fast lane. And I know that the plaintiffs must write me a cheque for all my legal defense costs.” So, we see not only review websites benefit directly, but we also see them benefit because their users have a firmer backbone. 17:14 Patrick O’Keefe: And when you say review, I just want to clarify for everyone listening, like it’s any kind of negative content, or any kind that might face that sort of challenge from a company that doesn’t like that you said something. You might not even think of it as a review, or maybe it’s like a one line in a post they didn’t like, or one line in some sort of conversation you’re having online. But they want it removed, and when you don’t remove it or when the platform doesn’t remove it, then if they are in a position where they can just file lawsuits and the cost doesn’t matter to them, then it’s an avenue for them to use right now to silence you, even if your speech would otherwise be legally okay or protected by the law. 17:49 Eric Goldman: Yeah, and thank you for clarifying. And I focus a lot on reviews, but everything that we’re talking about today applies with equal vigor to other types of user-generated content. So, anti-SLAPP laws cover the full waterfront of things that users might be saying. And for that reason, it’s a really powerful tool for the entire community. 18:08 Patrick O’Keefe: And it’s important for community builders because when you hear about lawsuits, and you hear about UGC or community sites, it’s often includes a big one, or that’s where a lot of people and their mind goes. When the mainstream media picks it up, people will think about large sites. They’ll think Facebook, even though Facebook’s not really a community, it’s more of a platform. But you’ll think of a Yelp, or a TripAdvisor, or someone that is owned by a big company and has a lot of money. But the reality is that often time, these lawsuits about these types of matters target smaller players. People who have two employees or maybe just solo operators because a lot of communities, I would say, a majority of online communities, probably just have one person behind the scenes managing them and maybe some volunteer moderators. And it’s oftentimes those communities that become dominant in their niche, and they become the places people go to talk about that space, positive or negative. 19:00 Patrick O’Keefe: So again, I talked about martial arts or scuba diving, like, I have a large martial arts community, it’s just me. And it’s a large active community, and if someone came in there and they just criticized a particular school, or a system of martial arts, some systems try to protect themselves with copyright down to the techniques and things like that, and they have contracts I’m sure they make people sign. And so, if someone came on my forums and said this art is this, or this art is that, or this instructor was bad, and it’s an opinion we’d allow because it’s in line with our guidelines, it’s not like they’re committing a crime, it’s just my experience was bad. If they don’t like it and they don’t like that I won’t remove it, then even though I’ll be protected under Section 230, they can force me to have to defend myself by suing me. 19:40 Patrick O’Keefe: And it would not be, like I don’t wanna give any kind of impression here, personal branding online, Twitter followers, all that stuff means nothing as far as how much money I actually have. And so, it’s really a case where… It wouldn’t be typical for me to defend a lawsuit without community support. So, I think communities like mine, I would either pull the speech or just go away. So, I think it’s small time players like me, if you wanna put me in that category, that really benefit the most from anti-SLAPP laws. 20:07 Eric Goldman: Yeah, and let me reinforce that. Facebook’s got enough money to be able to beat a lawsuit, that on Section 230 or First Amendment grounds, even if they don’t get the attorney’s fee shift, they can build that into their legal budget. My guess is your legal budget is a little smaller. 20:22 Patrick O’Keefe: Let’s assume nothing. 20:23 Patrick O’Keefe: Yeah, a little bit. 20:24 Eric Goldman: As in zero. And so, I really liked the way you phrased it about niches because there’s some really powerful conversations that are taking place in niches. And the big players aren’t very good, often at catering to those niches. So instead we have these smaller, maybe very entrepreneurial but still relatively low revenue communities, that are playing dominant roles in those niches. And anti-SLAPP laws are so important to those. And as I said, it benefits both the site operators and the individuals who are having a discourse there. Both sides of that equation get the benefit of knowing that if an abusive lawsuit comes, it’s designed to stop a conversation that needs to be taking place, we know how to kick it out early, and we know how to make the plaintiff pay for the fees. 21:11 Patrick O’Keefe: What do you think is the most crucial piece of legislation for US-based online community builders? If you had to pick one. 21:19 Patrick O’Keefe: Currently on the books. 21:20 Eric Goldman: The number one most important law for the internet and for all user-generated content websites, all community sites, all review websites, is 47 U.S.C. § 230, which I summarized as Section 230. It was passed about 20 years ago and it says, and I summarized it pithily but accurately, says, “Websites aren’t liable for third-party content.” So, if your users are saying things they shouldn’t, in general, the rule is, and it’s not in doubt, review websites, user-generating content websites, community websites, aren’t responsible for that content. 21:56 Patrick O’Keefe: Now, I thought you might say that. 22:00 Patrick O’Keefe: I thought you might say that, and no, that’s why I asked it because Section 230 is so important, and it’s one of the things I try to help community professionals with and it’s a blind spot I see as the law, and not that they have to be attorneys or be super well-read, but just understanding the kind of important laws that help us do what we do. And so, your Section 230 is so important, it’s when it allows us to not be liable for that content but to moderate at our own discretion, and to not be held liable for saying, “Okay, this is here. We left this but we removed this. So, obviously, we should be liable for what we’d left.” That’s what Section 230 helps protect. So, the reason I wanted to ask you to say that, and the reason I wanted to ask you about Section 230 is that, it seems like it’s kind of sort of being chipped away at. And you recently wrote that it’s been a tough year for Section 230. And then just a day after you wrote that post, you covered a ruling involving Yelp that you described as, “Worse than all of the cases” you had cited in that first article. So are you concerned about the future prospects of Section 230? 22:55 Eric Goldman: Section 230 has been under assault in the courts and in the legislatures for many years. And the good news is that there’s a lot of people who are deeply invested in Section 230, who are looking for ways to make sure that it continues to effectuate the policy goals that we think Congress had from the beginning. The good news is that the mainstream Section 230 cases, the case that you described, where a user makes a defamatory post on a site, the site doesn’t take it down upon notice, the plaintiff sues anyway. Those types of lawsuits are still faring pretty well in the courts. We’re seeing those cases kicked out relatively early, we’re seeing them kicked out mostly decisively. 23:37 Eric Goldman: So, the mainstream Section 230 cases are doing okay. But there’s a lot of fringe or edge cases in Section 230 where things are going weird. And unfortunately, some of those threaten the mainstream cases. I’m hoping that they won’t end up infecting the mainstream cases, but because they rip little holes in Section 230, in some cases are a little bigger than little holes in Section 230, I do get a little bit nervous. And it’s something that we’re constantly have to be vigilant about because it only takes one good hole in Section 230 to wipe away the entire benefit of law. And so, we have to win every main battle that counts. 24:17 Patrick O’Keefe: Yeah, I noticed that the Yelp case you wrote about, the one you called the worst, there was a portion in it where they kind of stripped away First Amendment protections by saying that Yelp was a “forum administrator.” I find it funny when those words make it into decisions because my experience is with forums, by and large, I’ve been managing forums for 16 years, I wrote a book about forums, a lot of people come to me for advice on forums. ‘Cause they don’t often get talked about, people talk about UGC, social media sites, Facebook, social networking, but to hear someone say a forum administrator and use it as a way to kind of strip away their protection, kind of a weird moment. 24:51 Eric Goldman: It was a weird moment and I’d have to go back and look, but I can’t recall another case that used the words the way that opinion did, that talked about a legal status of being an administrator of a website as having a different legal position than being the editor or publisher of a website. It was really bizarre, and it was what I would characterize as judicial activism. It was a judge saying, “I really don’t like the result that the law requires me to do, so I’m gonna come up with some crafty wording to try and reach a different result.” And whenever judges do that, it creates friction in our legal system, and that’s why I think it made me nervous because you look and say, “That doesn’t sound right.” And I’m with you, I don’t think it did sound right. 25:34 Patrick O’Keefe: Speaking of administrating, I wanna talk a little bit about user agreements. I wrote a piece a few years ago, and I still think it’s a good lesson for people to learn and to know about, is the separation between terms of service and a user agreement, or community guidelines, or a code of conduct, or behavioral norms, how ever you wanna term it. But the actual terms of service people agree to when they register, the legal document that exists versus the document that says, “You can’t use profanity.” Sometimes, people mix those together and I think they get in trouble that way, I think that is harmful. How do you view that issue of separating those two documents and those two intentions? 26:09 Eric Goldman: That’s a really great question and it’s I think a subtle point that, as you point out, often gets missed or confused. In my world, there are two things that a site operator wants to do. One, there are certain legal minimum protections that it needs to put in place, and it’s gonna need a binding contract with its users in order to effectuate those. But a site operator often wants to help the community form its own norms, or maybe it wants those norms to be internalized because it comes from the top or comes from the person running the service. And so, in my mind, there’s a role for a thing like a community guidelines. It’s not designed to be a set of legal rules as part of a contract, but it’s designed to help the community shape the norms, and to figure out the ways in which people should expect each other to behave. 26:57 Eric Goldman: And what I find is that, first of all, online contracts start listing out things that users can’t do. What I call negative behavioral covenants. And so, it says, “Don’t do X, don’t do Y, don’t do Z,” and over time, I find that sites tend to proliferate additional negative behavioral covenants, as they find more ways that community members engage in things they don’t like. So that list often grows over time and it becomes now no longer a set of norms, it becomes a contractual set of rules. “You must do this at peril of having legal consequences.” Meanwhile, I find that the community norms or guidelines that are published by a site often get treated as if they are law. It isn’t that they’re treated as a set of expectations about behavior but with no legal consequence. I find that site operators say, “I told you what I want norms should be, I’m gonna punish you for deviating from the norms.” So, not only do the behavioral covenants of the contract grow, but then the community guidelines become part of the contract, and then you’ve expanded the negative list of behaviors substantially. 28:04 Eric Goldman: I think there’s a really good role for online communities to find their own norms, and those norms should vary by community. And setting those norms in a non-legally binding document might be the best way to help the community figure out its own footing to decide what it wants to be. But it requires the discipline of the site operator not to then treat it as a bunch of contractual terms. 28:24 Patrick O’Keefe: Right. And so, I think that one of the ways that people should think about this, I mean beyond just having an attorney, but a lot of us, again, the budget’s small, they might purchase a boiler plate or a template from somewhere or try to do it themselves, but terms of service agreements are for things that are related to the law, which is, that sounds so dumb but… example, you need a license to re-publish content on your community, right? That’s copyrighted intellectual property by default. So when someone posts something on your community, they own the full rights to that. Copyright is with them automatically. So, you need to display that on your community. 29:00 Patrick O’Keefe: The vast majority of UGC sites, almost all of them have something in some agreement, somewhere, that says that we have this non-exclusive license to display your content indefinitely, etcetera, etcetera. I’m not taking the right to the work, which is always a fun thing for people who try to do that, and it usually ends up badly, but saying that we can display it. First it’s on your community guidelines, whether or not they use the F word is not a matter for the law and not the US Section 230 protects us from moderating, so we can moderate that out and remove it, and there’s really no question there. So, it’s knowing where those two boundaries exist. This is a matter that goes with the terms of service, and the terms of service should just be those matters. And as you kind of, we’re getting at, kind of the scope creep or the creeping in of all of these social norms and behavioral policies that really have no business in something that is a legal document. 29:56 Eric Goldman: Like shouting. You don’t need to put that into the user agreement. “We will terminate your account, and we will sue you for damages if you type in all caps.” It’s a norm that you wanna say, “Hey, if you’re using all caps, you should know that you’re shouting, and shouting can be very effective at times, or it can be a big turn off, and undermine your message.” In my mind, there’s a role for the communities to help their users understand all caps as shouting without treating it like that’s a breach of contract that’s a federal case. 30:27 Patrick O’Keefe: Alright. Wouldn’t that be the day when all caps was… And I’m sure there’s some people out there who would really like for that to be illegal, as well as using the CC field indiscriminately on email. 30:37 Eric Goldman: I’m sure we could come up with a list of 10 social faux pas online that people would like to impose a death penalty on: split infinitives, or grammar Nazism, or something. You can imagine the list of things that people do that really has no basis in regulating from a contract standpoint, but still can have really profound effects on the community. And people need to understand when they’re engaged in that behavior that the community may respond in an adverse way. 31:06 Patrick O’Keefe: When you have that agreement, what is, I guess, the best or commonly accepted way of ensuring that members of the community, users viewing the site accept changes to that agreement? We’ve seen cases, the Zappos one was a big one that I talked to you about like three years ago where their user agreement was essentially thrown out, their terms of service were essentially thrown out because they did some things that invalidated it, like having just an overreaching clause to change anything at anytime without notice but also it was because it was browsewrap, and they… There’s something was, if you saw text on a page or wherever it was on the page, you accepted the changes. It takes more than that. What do you think community builders should be doing to help ensure that the agreement is actually seen and accepted? Or community software vendors could build into their platforms to help communities more easily get that acceptance? 33:09 Eric Goldman: Community sites and all websites hate doing that for two reasons. First of all, there’s a bunch of users that will say, “What are you doing? Then maybe I don’t wanna come back.” And second, what do you do about the users who never come back, and you apply these new terms to people who didn’t actually go through the process ’cause they haven’t come back to your service yet? So, anything less than that is a legally risky choice, and we have to make a bunch of choices. Some of the things that people do, they give notice within the service. So when a user’s coming back to their page, you can say things like, “Welcome back. Hey, by the way, you should know that we’ve changed the terms.” Or you can send emails to users saying, “Hey, users, I want you to know about these new terms.” Or you can have terms that will only apply to new users who agree to the terms going forward. So, you have a cohort of the old users who are under the original terms. And then you create new terms, and then as users join the community, they agree to the new terms, but you don’t try and go back and apply those new terms to the old users. Each of those has got some merit to it, and each of those has its problems. What isn’t a good idea is to say, “We can amend our agreement at anytime, whenever we feel like it, and we don’t have to tell you. It’s your responsibility to figure it out.” Those provisions do very poorly in court. 34:28 Patrick O’Keefe: Eric, thank you so much for coming on the program. 34:29 Eric Goldman: Yeah, my pleasure. 34:31 Patrick O’Keefe: We have been talking with Eric Goldman, professor of law at Santa Clara University School of Law. Visit his technology and marketing law blog at blog.ericgoldman.org. Follow him on Twitter @ericgoldman. Finally, Eric is on the board of directors of the Public Participation Project, which is working to pass federal anti-SLAPP legislation in Congress to combat lawsuits that shield speech. Learn about their efforts at anti-slapp.org, that’s anti dash S-L-A-P-P dot org. For the transcript from this episode plus highlights and links that we mentioned, please visit communitysignal.com. Community Signal is produced by Karn Broad, and we’ll be back next week.